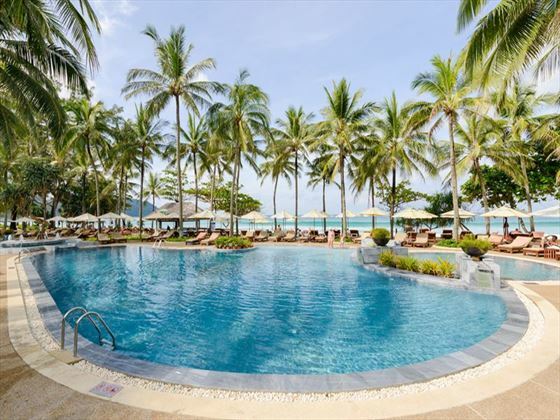 Set on the Southwest Coast of Phuket Island, the resort possesses a completely serene location secluded in to the sun-kissed sands and glistening waters of the Kata Noi Bay. 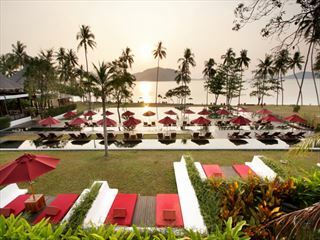 If you fancy a little break from lounging around the warm beachfront and glistening pools, your surroundings offer plenty to explore, from the cafes, shops, restaurants and bars dotted along the coastline just minutes away, to Phuket Island’s incredible viewpoints, traditional villages and magnificent monuments, all within easy reach. 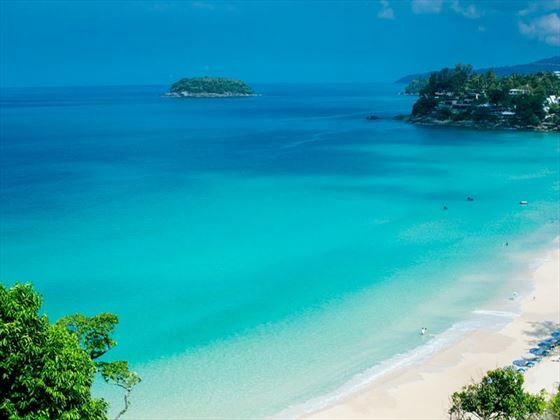 We recommend heading down to the South of the island if you’re in search of blissful beaches, spectacular viewing points and peaceful parks, or towards the southeast if you’re looking for a fun day exploring temples, bustling towns and great attractions. 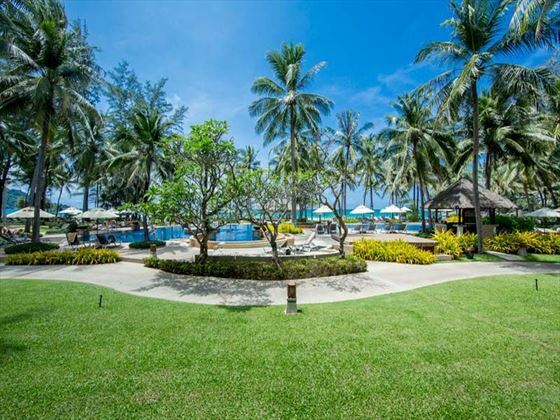 Transfer time from Phuket airport is around half an hour’s drive. 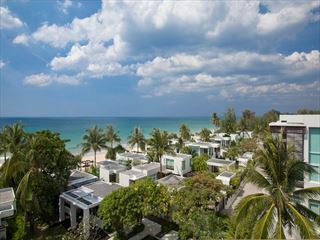 The property has two wings, the Buri Wing has a tropical setting across the lane from the Thani wing located on the beach. 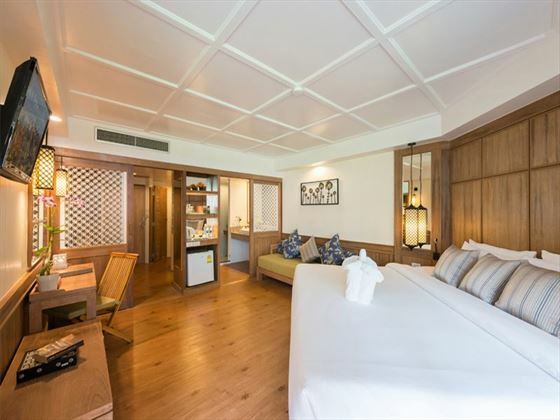 Deluxe Rooms – unique triangular layout with one king-size bed or two queen beds, balcony overlooking the garden, and a large bathroom. Ideally suited to a couple or two adults and one younger child (can sleep 1 child 0-12 years). Grand Deluxe Rooms - Family friendly rooms sleeping up to 2 adults and 2 children (0-16 years). The adult sleeping area opens out to a balcony / terrace and is separated from the kids' sleeping area (with 2 trundle beds) by sliding doors. These rooms are in the area closer to the 'Joy Zone'. Junior Suites – larger than Deluxe Rooms and contain one king-size bed or two twins with full or partial sea views from the balcony. Junior Oceanfront Suites – same size and style as Junior Suites but located just steps from the beach. 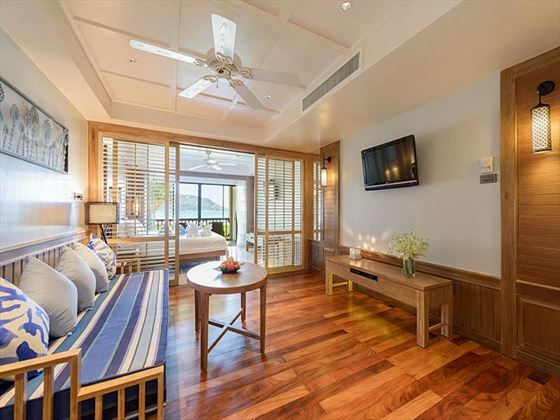 Grand Suites – larger than Junior Oceanfront Suites with adjustable bedroom and living space, extra large king-size bed or twin beds and includes a private entrance as well as plenty of natural light and a spacious luxury bathroom. 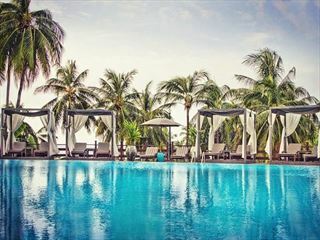 Chom Talay – international and Thai dishes served for breakfast and dinner with themed buffets and ocean views. Fisherman's Wharf – seafood grills, light lunches and cocktails as the sun sets with live bands and pirate-theme nights every Saturday. La Scala – elegant European dining experience presenting authentic Italian fare with an accompanying pianist. Chanadda – classic Thai dishes with plenty of flair and artistic touches. Cinnamon – family favourites from the Mediterranean whilst overlooking lush green tropical gardens. 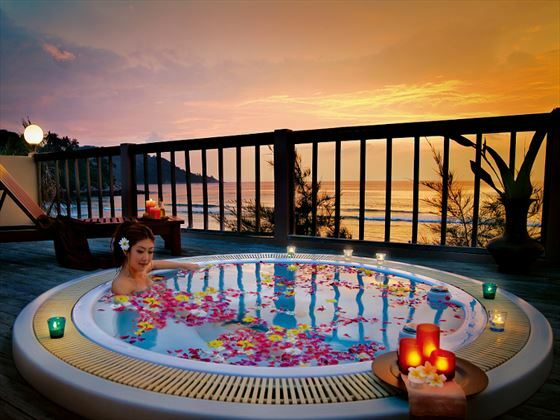 Seacret – international and regional dishes served close to the pool and the lapping waves of the ocean. 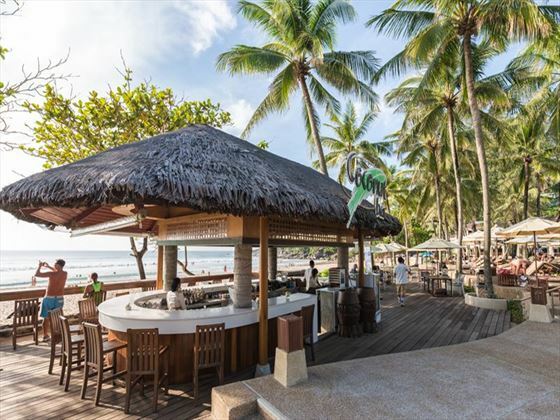 Tropical bars – choose between Coconut, Mango, Pineapple and Palm bars as you indulge in a delicious range of cocktails, juices and drinks within typical Thai settings. The Lobby Lounge – coffee, teas and biscuits served in the lobby. Romantic and in-room services – choose to dine in the comfort of your own room or within a star-covered setting lit by candles in a secluded spot in the garden. • Tew Son Spa offers the very best for couples and individuals seeking pampering perfection, including: aromatic herbal steams, a rooftop Jacuzzi and full menu of facial, body and well-being techniques and therapies. • Fitness centre features a fully-equipped gym, tennis courts, Yoga studio, sauna, personal trainers and scenic walking routes. • Massage, pedicure and manicure service in the garden or at the beauty salon. Two children up to 12 years stay free in a Grand Deluxe Room sharing with 2 adults. These rooms are perfect for families with a sliding door between parents and kids' sleeping areas, and close by to the 'Joy Zone' and water slide. 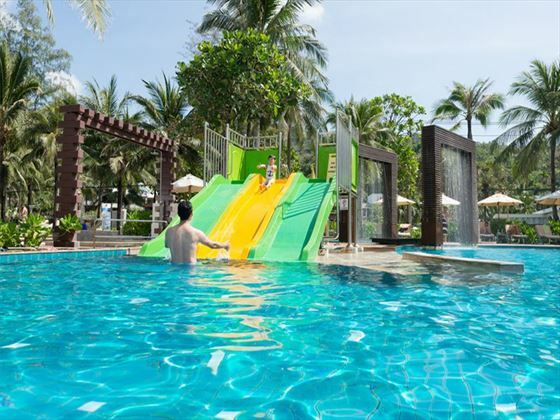 There are 6 swimming pools here, and four of them are child friendly so you can find a place to splash and relax throughout the resort. Children are well looked after with a lovely kids club and inventive daily activities.